Oh how I love ♥October Afternoon♥. I have to have every single one of their collections. I have to say this is the very first time that I felt the need to order every embellishment that came with a collection. I was good and only got a few pieces. Today's card features the brand new Sidewalks Collection (supplies listed below). Farmhouse comes out sometime in November ♥ ♥ ♥ and check out that Holiday Style...hohoho! 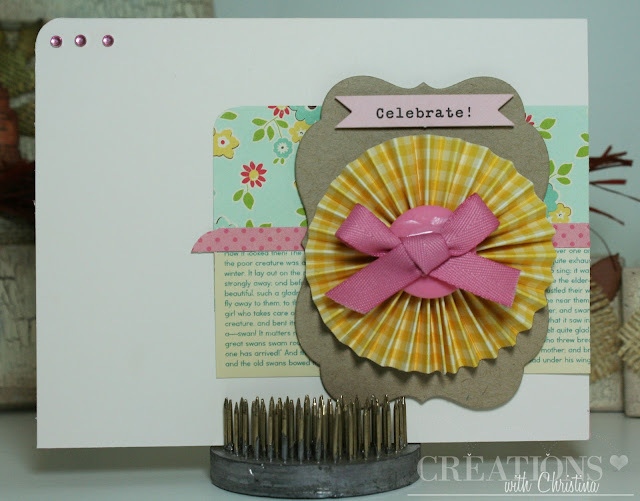 Thanks so much for the tutorial on this size rosette! I have to share that last week I was trying to make a rosette using this same size strip and I could NOT get it to lay flat and stay. I wasn't squeezing toward the center enough and I didn't even think to use my glue gun. I'm going to try this again today. I never thought to use a decorative border punch. Learn something new every day! Where do you buy your October afternoon? Thanks! 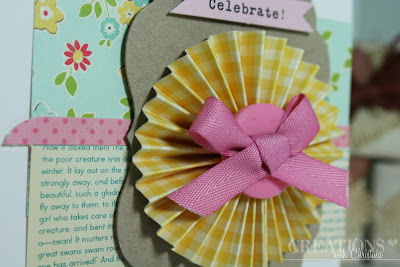 Great idea to use the border punch! Super pretty card! Love the bright colors and all the layers. Thanks!